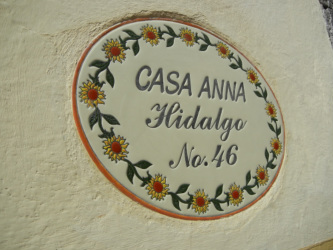 Casa Anna is available year round as a vacation home extraordinaire. The house sleeps 8 in four bedrooms, although it is best suited for 2-3 couples or two small families (unfortunately no children under age 13). Two of the bedrooms are connected and share a bath. (For more info on bedding and layout, please see separate links). To inquire about availability or to make your reservation, please contact us at: smahomesolutions@gmail.com or call in Mexico: 52 415 1 415 101 9629. UNFORTUNATELY WE DO NOT ALLOW CHILDREN UNDER AGE 13 OR PARTIES LARGER THAN 8. Rates include the services of a maid/cook three days per week from 9am -2pm. The house is also available for LONG‐TERM rental. Please contact us to discuss rates and terms.